Arctic Cloudberry Seed Oil harvested from the Arctic Circle region of Finland provides more vitamin C than oranges and serves as a detoxifying agent for the skin. We added wild crafted ground Juniper and Juniper essential oil that can help heal stubborn skin conditions like psoriasis. 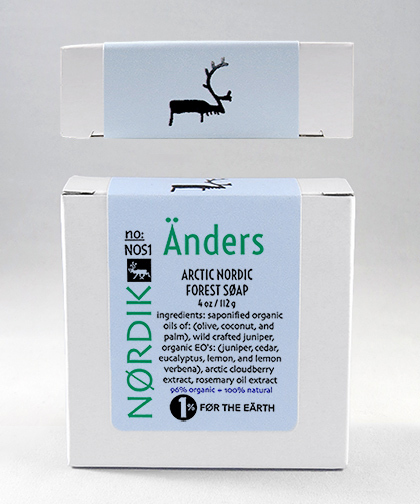 A touch of Cedar, Eucalyptus, Lemon and Lemon Verbena essential oils were blended to make this an authentic Scandinavian soap.